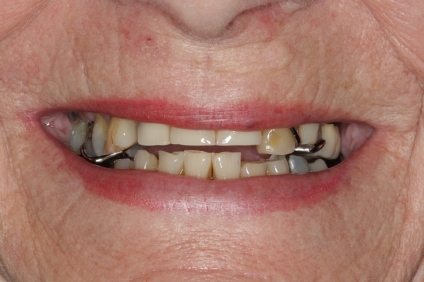 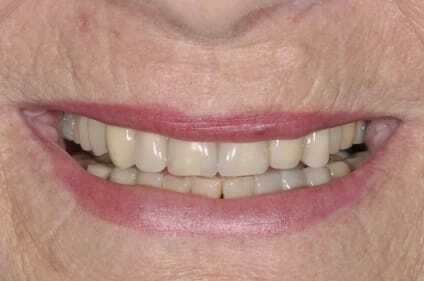 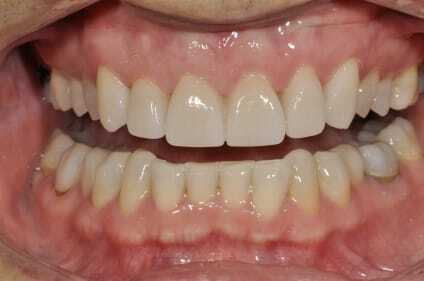 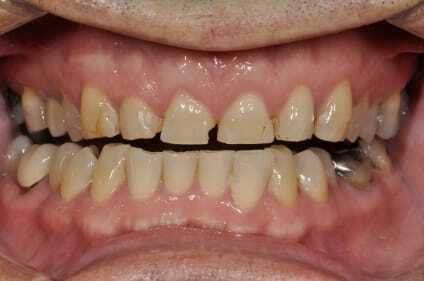 Restoring esthetic and functional biomimicry to amalgam-stained teeth. 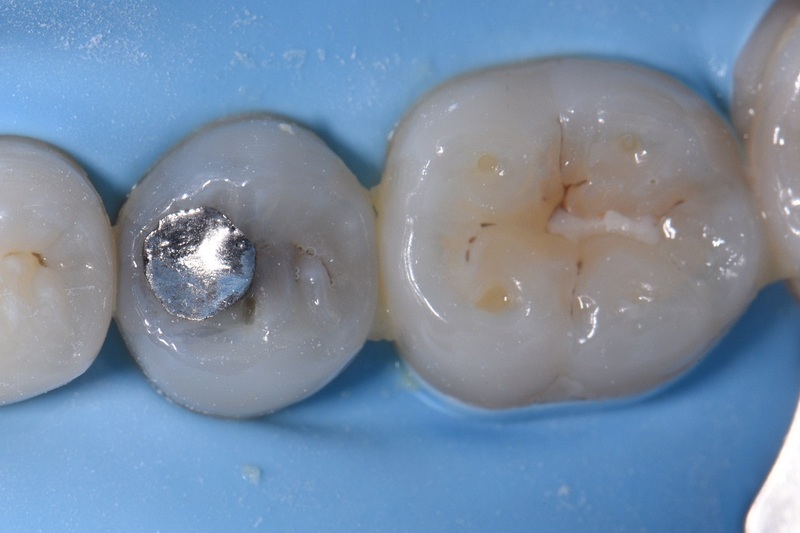 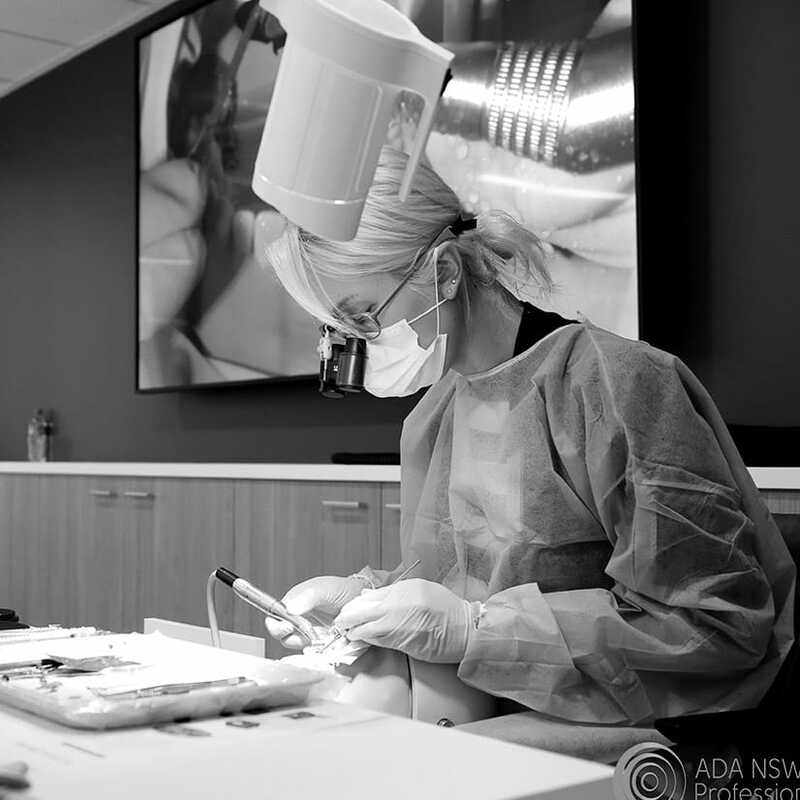 GC’s Masking Liner (Essentia Modifier kit) was utilized in multiple layers (same consistency as G-Aenial Universal Flo) to block out the shade, and the preparation gently extended across the occlusal to remove small nidi of caries. 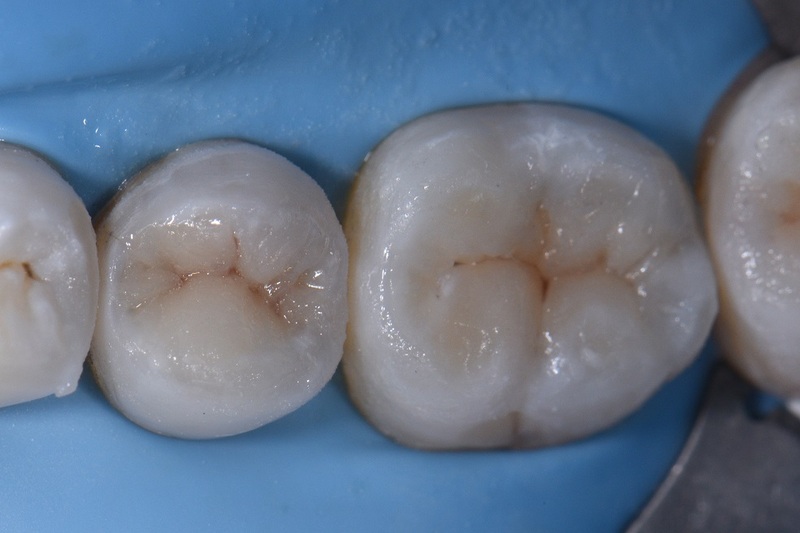 A single shade of Essentia U was layered to complete the restorations on 35 and 36.